Daily Bible lessons in elementary and secondary classrooms may be likened to a serial story. Each Bible passage reveals a little more of the unfolding Cosmic Conflict metanarrative1 and God’s yearning for each human being to be part of His kingdom. Adventist Bible teachers have the daily privilege of sharing this message with their students. Preparing a Bible lesson requires a different set of criteria from any other lesson in the curriculum. These lessons deal with cognitive, affective, and spiritual dimensions of life and have the potential to inspire students to change their world for the better, not for selfish reasons, but for godly inspired reasons. What Is The Four H Teaching Strategy? The Four H Teaching Strategy is an interactive, multisensory approach to teaching Bible that assists teachers to prepare engaging and transformational Bible lesson plans. It was created by the author in response to 21st-century Adventist students’ complaints about having to endure passive, seemingly irrelevant and uninteresting Bible lessons and the realization that teachers were confused about where to place the emphasis in the Bible lesson, i.e., on the knowledge section or the life-application section. 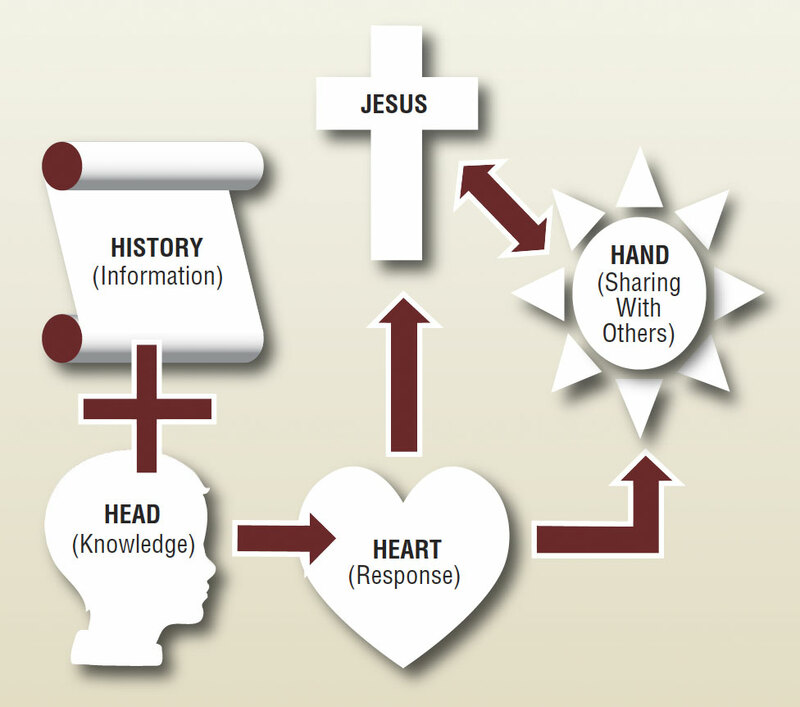 The Four H Teaching Strategy (History, Head, Heart, and Hand) is designed to place equal emphasis on each of the Four H’s, thus ensuring a balance between Bible knowledge and life-application in an interactive and modality-based learning approach. It is currently used by pre-service teachers at Avondale College of Higher Education in Cooranbong, New South Wales, Australia, to assist them in developing interactive, multisensory Bible lessons that encourage and cultivate reflective thought in culturally diverse classrooms. History—listening and discovering. It provides an overview of where each Bible story fits into the Cosmic Conflict metanarrative; and includes Bible reading, biblical history, world history, cultural information, maps, and timelines. Head—learning and knowing. The children gain knowledge about God and familiarity with the Bible stories. This includes the development of inquiry skills. Heart—loving and responding. It provides opportunity for spiritual (emotional) engagement, heartfelt commitment, and response to the story. Hand—living and giving. It explores ways to apply and implement this story in the lives of the students and for them to share it with others in the community. It should be noted that these strategies are not necessarily applied in chronological order; they often overlap and may occur several times during the lesson. 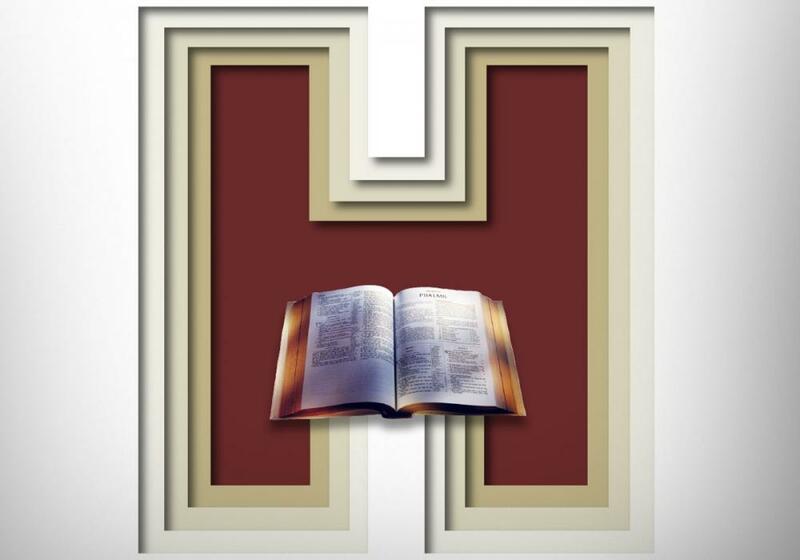 Central to every Four H’s Bible lesson is engagement with and reading from the Bible; therefore, each student needs: (1) his or her own copy of the Bible; (2) the opportunity to individually engage with and reflect upon God’s Word according to his or her cognitive stage; and (3) time to interactively engage with and read God’s Word. A typical lesson plan is a written description of the academic content to be taught. It includes a detailed organizational structure of content, method for organizing the learning, the focus and desired outcomes, and supporting resources. A Bible lesson, using The Four H Teaching Strategy, includes all the above but becomes so much more because the lesson deals with eternal consequences. History and Head knowledge are powerless without a Heart response, and a Heart response provides the impetus for Hand(s) to demonstrate and share a personal and committed relationship to Jesus. In a typical Bible lesson plan, the Learning Procedure (or Lesson Plan) includes three main sections: Introduction, Development, and Conclusion. The Four H Teaching Strategy can be applied in all three sections of the Learning Procedure. For example: During the Bible lesson Introduction section, History, Head, or Heart phases can be utilized to hook students, or gain their attention. The next section, the Development of the lesson, incorporates the Head and History phases to provide the setting, essential background information, and a knowledge base for studying the Bible story or passage. Once the Bible knowledge base has been established and developed, spiritual engagement and a commitment response from the Heart phase become appropriate. Finally, during the Conclusion section of the lesson, the Hand and Heart phases can help the teacher initiate discussions about applying the story to the student’s life and discovering ways to engage in personal outreach. The Four H Teaching Strategy sample lesson plans, presented later in this article (Tables 2 and 3), demonstrate the implementation of the Four H’s for different age groups. Table 1 outlines a sample of the variety of sensory- and modality-based ideas available for teachers to utilize when planning Four H’s interactive, multisensory, and modality-based Bible lessons. The teacher’s personal-evaluation section, which enables him or her to celebrate the positive aspects of the lesson while also determining the sections that need further development. Prayer: The divine power source for the lesson, teacher, and student. A clear and attainable lesson focus: Shows where the lesson is headed and that the teacher has a clear goal in mind. Appropriate and achievable learning outcomes and indicators: Describe what learning is to occur and how it will be achieved. The lesson is evaluated against these behavioral indicators. A variety of resources: Adds variety and sensory input. Should be kept simple so as not to distract from the lesson. Learning context: Indicates how the lesson fits into the “big picture” of the unit and how its concepts are built on prior learning. An active, multisensory learning approach: Ensures that learning is participa- tory, engaging, and multisensory by using a variety of sensory modalities (touching, tasting, smelling, listening, and talking). The Bible reference: Helps the students understand the context of the story in the Scriptures and gives them practice in navigating their way around the Bible. A lesson hook: An active and engaging introduction to the lesson. A quick way to engage the students and arouse their interest in the lesson to ensure so that they become actively involved in the learning. If a revision step is needed from a previous lesson, the teacher should provide some motivation for learning before beginning this step. Hand – living and giving. An interactive reading of the Bible: A meaningful reading of the biblical pas- sage being studied that involves both the teacher and the students. Stimulating conclusion idea(s): Restates the main points of the lesson and aids in evaluation of a student learning. This is the final “punch line” of the Bible lesson. The 3P Storytelling Technique to learn and practice when telling a story.12 Helps the teacher become a convincing storyteller who has not only memorized the story, but also shares the transcendent and loving God. Personal evaluation: Occurs at the end of the lesson. The teacher celebrates what went well in the lesson, ascertains how effectively the lesson indicators were achieved, and identifies areas that need additional development. Reading a Bible story from the textbook is not the most dynamic way to engage students in the Bible lesson, so to encourage and assist teachers to become effective and engaging storytellers, the 3P Storytelling Technique13 has been included in the Checklist. Sometimes, Bible stories are told without any reference to the Bible or any indication of where the story is located. To ensure that these two important Bible concepts are not overlooked, the Checklist includes an interactive Bible reading14 and the location of each Bible passage. The reflective questions in Box 3 can assist students to make the Heart (loving and responding) connection between the Bible lesson and its personal relevance and application. A simple “Yes/No” question can become a reflective question when “Why/Why not” is included (e.g., see Question 4 in Box 3). Some questions in the list are designed for personal and private reflection, while others may be supported by group reflections and interactions. Do you have a relationship with Jesus? If so, what does it mean to you? Explain which character(s) in the Bible passage remind you of Jesus. Why? Are you like/unlike any of the characters in the Bible passage we read today? Why/Why not? What part(s) of this Bible passage demonstrate God’s love? Why? What is the Good News for you in this Bible passage? How will you respond to the spiritual truths that you have uncovered in this Bible passage? Why? How can learning about people in the Bible help you to be more like Jesus? To assist teachers in applying the Hand phase (living and giving) of the Four H’s, each question in Box 4 includes examples that could be implemented in a supportive classroom environment. Please note: These examples cover a range of cognitive stages, so check age-appropriateness before implementation. How can you share this special message and God’s love with others? Develop a list of ways to share the special message from the current Bible story about God’s love in a kind way; role play non-confrontational interactions; create personal diary recordings of how you and your classmates have shared God’s love with others; invite a non-Christian friend to Sabbath school or church. How can you make your community (home, school, church, town) a better place? Why should you do this? Organize students to share God’s love in community-service programs and through engaging in social-justice issues: e.g., sharing random acts of kindness; mentoring a younger child; making cookies and delivering them to a homeless shelter with a Bible verse included; preparing a surprise “Thank You” party for the school janitors; volunteering at an animal shelter; assisting a fellow student who is physically or mentally challenged; preparing food parcels for the disadvantaged. How might you explain and demonstrate God’s love to a friend? Discuss this question as a class, then divide into small groups to develop and record ways the students think would be appropriate to share God’s love with a friend: e.g., explain what Jesus means to you on a personal level; give your friend a Bible if he or she doesn’t have one and wants one; share a personal testimony or answered prayer). Discuss ways to do that, and then engage in experiences demonstrating God’s love (e.g., being respectful of someone’s personal opinion, listening without being judgmental, choosing to participate in unselfish service opportunities). Why is it important to learn about Bible people and their stories? Discuss the impact of Bible stories for 21st-century students by researching the consequences of King David’s involvement with Bathsheba—particularly highlighting the effects of his actions on his descendants; research the results of Ruth’s faithfulness on her descendants; compare a well-known current local “hero” and his or her lifestyle choices with those of a Bible character. What is the difference between “being” and “acting like” a Christian? Ask the students to form small groups and discuss the role of social media in influencing personal Christianity; discuss with students how to develop Christian discernment; with student collaboration, create a set of media-viewing guidelines for Christians: e.g., Internet sites, videos, films, video games, etc. What is your role in the Cosmic Conflict? Create a collage of all the events in the newspaper for one day that illustrate the Cosmic Conflict; identify how the Cosmic Conflict is evident in the classroom; brainstorm ways the class can witness to their peers about the Cosmic Conflict. Explore some community activities in which you could become involved in order to share the Good News in practical ways. Construct a list of activities in which the class can collaborate to share the Good News in the neighborhood and then follow through with these ideas: e.g., raise money for a local charity; collect religious library books for a needy Christian school; prepare get-well cards with a Bible promise written inside and deliver them to the local hospital. Explain why you think this story is in the Bible. Use the sensory modalities to answer this reflection through music, art, drama, writing, poetry, etc., and perform the production at a school assembly, the local church, a retirement village, a preschool, a local fair, etc. The examples listed in Figure 2 demonstrate the variety of available interactive, multisensory activities that can be used to assess the information gained from the History (listening and discovering) and Head (learning and knowing) phases of the Bible lesson. True or False Quiz: Students create questions based on the story and place them in a box. One child is chosen to draw a question from the box and read it to the rest of the class. The person who answers the question correctly then chooses and reads the next question from the box. What/Who am I? A student chooses a character from the Bible story in the lesson and gives clues that help his or her classmates guess who is being represented. Place the objects in the correct order: Students arrange the Bible objects in the sequence in which they occurred/appeared in the story. Round Robin17 Story: While seated in a circle, the students re-create the Bible story, one sentence at a time. The first person introduces the story with a single sentence, after which the person to his or her right adds another sentence, and so on, going around the circle as many times as necessary until the story is completed. Drama: Students dramatize a portion of the Bible story, after which their classmates guess what section they have portrayed. Sing or create a song: Students sing or create a song on the topic of the day’s Bible lesson. Puzzle: Students design a word/picture puzzle about the Bible passage. Interview: Two students are selected, one to act as an interviewer, the other as the Bible character. Story cube: Write the main ideas of the Bible passage on the sides of a cube18 and ask each student, in turn, to roll the cube and tell what happened before or after the main idea on the face of the cube facing him or her. Place the Bible character(s) on a timeline: Draw a timeline on butcher paper (teacher) and post it at the front of the classroom. Ask the students to place the characters from the current Bible passage in the correct right timeslot. This can be a cumulative activity that continues throughout the year. Find the town/country/city: Each student has access to a world map or Bible lands map. Challenge them to see who can find a specified town, city, or country first as you call out the name. The winner chooses the next location. Incorporate De Bono’s six thinking hats19: Use the six thinking hats to analyze and discuss an issue raised in a Bible story (e.g., Matthew 21:12, Jesus turning over the money tables in the temple). The lesson plans in Tables 2 and 3 demonstrate how the Checklist for a Quality Bible Lesson can be applied. This lesson uses the parable of the lost sheep to explore with young children the concept of God’s love as represented by Jesus as the Good Shepherd. The lesson uses the analogy of the child being like the sheep in the story and Jesus as the Good Shepherd (the word Farmer is often used as well, since many shepherds were also farmers) who loves all His sheep and cares for them. Provide each child with an easy-to-read Bible so he or she can interactively read the story with the teacher. The second lesson plan (see Table 3 on page 23) explores the Old Testament Book of Amos and was prepared for students age 12 and above. It employs the same concept of interactive and multimodality-based learning as in Example 1 (Table 2), but the learning level is more advanced, with greater academic and reflective requirements, an increasing complexity of tasks, and different age-appropriate learning-outcome expectations. Because learning lacks meaning and purpose until applied, this age group requires real-life opportunities to share their faith through a variety of interactions, both inside and outside the classroom. Learning Focus: Jesus loves me and cares for me just as a farmer/shepherd looks after and cares for his sheep. Outcome: The student appreciates Bible stories portraying aspects of God’s character and redemptive action. Apply the spiritual concept by discussing how he or she will share this story with friends (Hand). Learning Context: This lesson is another in a series of Bible lessons illustrating stories Jesus told about God’s love in terms a young child can comprehend. After hiding one piece of a jigsaw puzzle somewhere in the classroom, hand out the rest of the pieces to the members of the class, and ask them to assemble the puzzle. When they discover that one piece is missing, have them search for it. After they find the missing piece, discuss briefly how this relates to the story in today’s lesson. 11 minutes Narrating/Explaining (History) Narrate the story from the farmer’s/shepherd’s perspective using the props at the appropriate time. Farmer/shepherd takes lost sheep back to the field. In the story, what animal went missing? Who went to find it? How did you feel when you were lost? Who went to find you? Why did they look for you? Jesus is like our parents and the farmer/shepherd in the story because He loves us and wants to look after us. Let us bow our heads and say, “Thank You” to Jesus for loving us. Interactively read the story from the Bible (Luke 15:4-6) (History). As they read the story, ask the students to look for several words (e.g., farmer, Jesus, sheep, shepherd) in their Bible that have been written on cards and given to various class members. Every time his or her word is read, the child holds up the appropriate card. A child retells the story using the soft toy (Head). One child will act out the story of being lost, and another child looks for the lost classmate (Head). Read an interactive book about the lost sheep (History). Ask: “How can you share this Bible story with your friends?” (Hand). Students and teacher sing together, “Jesus Is the Shepherd” (Heart). What does the Old Testament prophet Amos have to say that is relevant for people living in the 21st century? The student explains how the Bible passages in Amos illustrate God’s yearning for His children to choose Him and live. Participate in a discussion regarding the relevance of this story for today’s society (Hand). This lesson is another in a series of Bible lessons discussing our relationship with God and our role in the Cosmic Conflict, especially the role of decisions and their consequences. Play video clip (56 seconds): The Choices We Make. Say: Which Old Testament minor prophet encouraged the Israelites to “Seek the LORD and live”? (Amos 5:6, NIV).24 Discuss responses (History, Head). Divide the class into four-person Jigsaw Groups to research background information on the prophet Amos (History).25 Students are to report their findings to their group. Use the Internet and Bible resources to assist the students in their discovery learning. Expert Group 1: What is the physical setting and location for this Bible prophet and his story? Expert Group 2: What was the Old Testament time frame for this prophet? Expert Group 3: Who was prophesying to God’s people at the same time? Expert Group 4: Describe what this prophet looked like and his heritage, and give Bible references to validate your description. What is the message Amos was giving to the people of Israel? Ask each group to read and summarize the main theme of their allocated chapter (Chapters 4, 5, 6, 7, 8, and 9) (History). Discuss each chapter theme with the entire class. List the recurring issues. What do you notice? Why did this occur? (Head). Discuss: Do you hear pity or anger as Amos proclaims his prophecy? Verify your response from the Bible (Head). Display: The chiastic structure (mirror structure), an ancient literary pattern used in the Book of Amos demonstrates that at the heart of Amos’ prophecy is not a message of doom but one of hope26 (History). Discuss in groups of two: “Divine threatenings are really conditional prophecies, their fulfilment or nonfulfillment being conditioned by our wrong or right action.”27 How do you react to this quote? Why? Read Amos 9:11-15 (Heart). How relevant is Amos’ appeal for us today? What have you learned from this prophet? How would you feel if you were referred to as someone who oppressed the poor and crushed the needy (Amos 4:1)? (Heart, Hand). How can we be like Amos in the 21st century? Discuss and then list results in a Discussion Web30 (Hand). Silently and prayerfully consider this statement: “God does not force the will or judgment of any. He takes no pleasure in a slavish obedience. He desires that the creatures of his hands shall love him because he is worthy of love. He would have them obey him because they have an intelligent appreciation of his wisdom, justice, and benevolence”31 (Heart). Teaching Bible lessons in the 21st century can be both daunting and challenging. Sometimes it seems that Adventist educators have an overwhelming responsibility, but we can call on supernatural help. Jeremiah 33:3 reminds teachers, “Call to me and I will answer you and tell you great and unsearchable things you do not know” (NIV). If the next generation of young people is to embrace Christ as their personal Savior, they must, from infancy, have learned to know and love the Scriptures. By providing and engaging in an active multisensory, modality-based learning environment (The Four H Teaching Strategy), as described in this article, teachers can be assisted in their goal to introduce students, of all ages, to Jesus as their Friend, Guide, and Savior. More than 100 years ago, Adventist teachers were reminded that: “The teaching of the Bible should have our freshest thought, our best methods, and our most earnest effort.”32 This statement and its aim are still relevant and crucial in the 21st century, but we cannot rely on the previous generation’s methodology to reach contemporary students. Today’s young people and children live in a constantly changing society; have unique life-style issues, and experience the world differently from previous generations. So Adventist teachers have been admonished to constantly seek for the “best methods” and ideas to meet these contemporary challenges while also ensuring that Bible teaching “has our freshest thought.” Students will see that Bible teaching is relevant, appropriate, and meaningful for all age groups and learning abilities when it engages the teacher’s “most earnest effort.” God has asked teachers to sow the seed. He has promised that He will look after the harvest. Finally, it is the goal and prayer of the author that both student and teacher will have a transformational encounter with Jesus as they interactively study the Bible together through the multisensory experiential environment of The Four H Teaching Strategy. Barbara Fisher, M.A., recently retired as a senior lecturer from the School of Education at Avondale College of Higher Education, Cooranbong, New South Wales, Australia, where she researched and lectured in Literacy and Religious Education (Curriculum Studies) for more than 25 years. 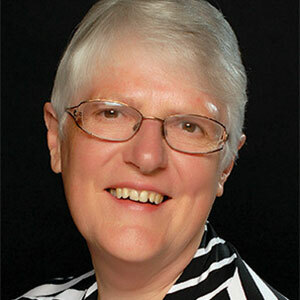 She has taught in New Zealand and Australia and studied and taught in the U.S.A. Ms. Fisher has presented lectures on faith-based education for teacher in-service seminars in Australia, Mexico, and the South Pacific. She is passionate about faith-based education. Her book, Developing a Faith-based Education: A Teacher’s Manual (Terrigal, N.S.W., Australia: David Barlow Publishing, 2010), has been translated into Spanish and Russian. Recently, she completed A Reader’s Study Guide (available in English and Russian) that is designed to assist the reader in the application of and reflection on the information gleaned from each book chapter. She is currently a doctoral candidate at the Avondale College of Higher Education. This article has been adapted from a chapter in the book Developing a Faith-based Education: A Teacher’s Manual (Terrigal, N.S.W. : David Barlow Publishing, 2010), and is printed with permission from the publisher and author. For more information about the book, see http://avon daleaustralia.spiffystores.com/collec tions/books.